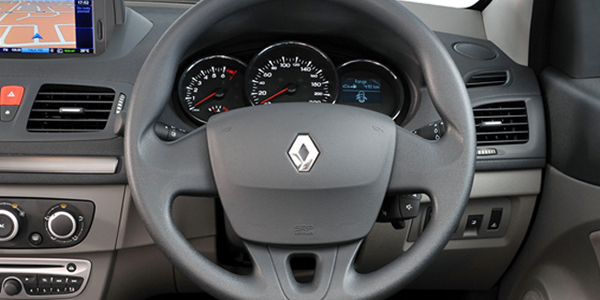 Why steering of Renault Fluence becomes tight on high speed? It is quite normal, the steering of the vehicle becomes tight at higher speeds. It is because to give you a better handling of the car, at higher speed, the reaction time is smaller so to give a better handling tilting the steering an inch only will get a response from the car. You will get a slight wobble on the roads. A tighter steering wheel will give you a quicker response, which means you don't have to turn the steering wheel as much to get the wheels to turn a given distance. This is ideal when you are driving a sports car at a high speed and making a turn. A tighter steering wheel at higher speeds is the need of the hour. As power steering require only a slight turn to move the wheels at a considerable angle, its inadvertent usage during high speed might prove to be counterproductive. A tight steering wheel will not move the wheels to a large degree thereby maintaining the safety of your travel at higher speeds. The steering of the car becomes tight at high speed due to the requirement of the user. As you just need to turn at bit to take turns in case of turbulent speed to change the direction of the car. It is the need of every power steering car that the steering has to be tight at high speed so that you can change the path using a slight turn on the steering. The reason why the steering becomes tight is due to the minimum response time which you get while riding at such a high speed. You just need to apply a minimum amount of force to turn the power steering to change your direction of the car. The Fluence is a surprisingly spacious yet comfy car in all aspects. I have never felt tired driving it although I have driven it once at 200 km stretch. Its steering is responsive and thus the car is pretty fun to drive around town. I totally dig the Renault Fluence. This is a crap car with a high cost. I too experience the same problem and the technicians too cannot figure it out. The after sales service is just as bad the people are just as stupid as they can be. However the problem is not only the steering but the car. How is the performance of Renault Fluence? What are the safety features in Renault Fluence? What is the power of Renault Fluence? What is the engine capacity of Renault Fluence? What is the mileage of Renault Fluence?